Shout! 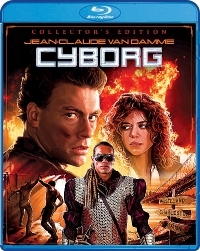 Factory have announced they will release Albert Pyun's post-apocalyptic, cyberpunk hybrid Cyborg on Blu-ray in April but they haven't released any bonus features yet. We previously reported the release was scheduled for January 30, but it was pushed back to April. Perhaps we've learned more about why. The film's director Albert Pyun confirmed on Twitter today that he is scheduled to record a new commentary for the film as well as partake in a series of interviews (along with cast and crew). That's great news for longtime fans of the film.